This is an atmospheric but somewhat bleak tale set in set in the chilly Northern lands in the time of the Viking invasions of Britain. The story opens with the cruel murder of Ylva’s mother and as we discover later her dog too. Ylva believes she must avenge her mother’s death as is the Viking way. She is convinced a three-fingered man is the killer as she saw him leave the trading post hut her mother had entered. 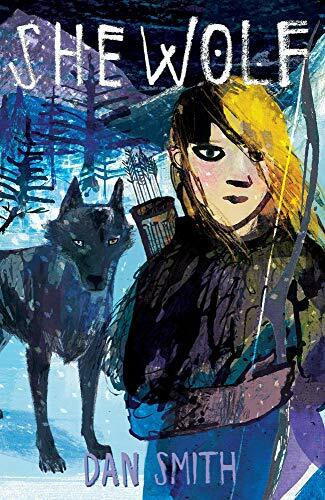 Ylva is an awkward and intense child and finds human contact difficult – she lives in her head, listening to her dog’s wise counsel and telling the old Norse tales she learned from her mother to comfort herself. We might think now she is borderline autistic. So, when a kind stranger, Cathryn, appears together with a boy, Bron, who can only communicate in sign language and offers Ylva help, she brushes them off determined to manage on her own. But after a near-death encounter with slavers Ylva reluctantly agrees it would be safer to travel with Cathryn. Although Ylva is highly suspicious of Cathryn’s motives she gradually begins to trust her as Cathryn is unusually sympathetic to her needs. Along the journey to find the three-fingered man they encounter fierce warriors, wolves and a very dangerous bear. Bron and Cathyrn are forced to split up to confuse their pursuers and when Ylva decides to take in an orphaned wolf cub they argue when Cathyrn explains that the cub is a wild animal and not a dog. Cathryn falls on her knife and is badly wounded but Ylva manages to get her to a cave where she tends her and is with her when she dies. Ylva finally faces the three-fingered man but realises too late that he is not what she thought he was and that her preconceptions may not always be right. Thankfully, Ylva and Bron do reach a place of safety and there is happy ending of sorts. This is a page-turning story: the desolate landscape is beautifully described throughout and Ylva is a strong and brave heroine but the constant threat of danger and the unrelenting hardship make this a discomforting read and it is at times hard to warm to it. There is a helpful glossary at the back of the book and some information on Viking life. This could be a good novel for class discussion.